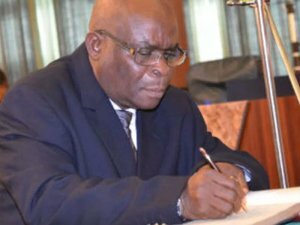 The Federal Government’s planned arraignment of the Chief Justice of the Federation, Justice Walter Samuel Nkanu Onnoghen, was greeted with massive pushback by senior lawyers, politicians and human right groups, warning government of the grave implications of such an action. 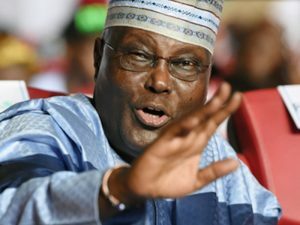 With the 2019 elections just a little over 30 days away, the announcement of the impending trial of the CJN over non-declaration of asset sent shockwaves which reverberated across the country as many prominent politicians including former Vice President and presidential candidate of the leading opposition, Party, PDP Atiku Abubakar condemning the move. This is coming as over 150 seniors lawyers are mobilising themselves to defend the Chief Justice on Monday, before the Justice Danladi Yakubu led-Code of Conduct Tribunal (CCT). Constitutional lawyer, Sebastine Hon, SAN on Saturday said the number of eminent lawyers that have volunteered to defend the CJN might even be more than 150. The attempt to sack the chief justice of Nigeria is a cold reminiscence of the constitutional crisis that ensued in Pakistan in 2007 when the military President Pervez Musharraf, unceremoniously fired the Chief Justice of Pakistan whose rulings had begun to challenge the Musharraf government. Outraged Pakistani lawyers and others poured into the streets, setting off an unprecedented outburst of frustration that signalled the most serious challenge that General Musharraf had to deal with. The CJ was eventually reinstated. The protests weakened his presidency eventually leading to his resignation to avoid impeachment in 2008. The former vice president warned President Muhammadu Buhari and the governing All Progressives Congress (APC) to refrain from throwing Nigeria into an avoidable crisis over the move. 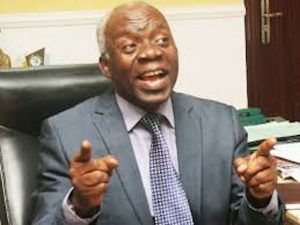 In a statement issued on Saturday in Abuja by Atiku’s Special Assistant on Public Communication, Mr. Phrank Shaibu, the PDP candidate said the principle of separation of powers remained sacrosanct in a democracy irrespective of what Buhari was being told by his advisers or the buttons being pressed to forcefully remove the CJN. Atiku said the plot to sack Onnoghen was a pre-emptive move against the bench in the face of imminent defeat and knowing the role the judiciary plays in the final outcome of elections. 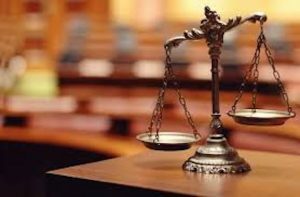 The Nigerian Bar Association (NBA) also reacted strongly late last night to the application filed by the Code of Conduct Bureau to the Code of Conduct Tribunal Chairman for the trial to commence against the Chief Justice of Nigeria, Walter Onnoghen. In a statement issued on behalf of the body by its president, Paul Usoro (SAN), it condemned the targeted assault of the judiciary by agents of the Federal Government. But Onnoghen was quoted by the News Agency of Nigeria (NAN) as saying in a response to the Code of Conduct Bureau (CCB) queries regarding his asset declaration that his 2016 declaration made up for any default. He allegedly stated, “My asset declaration form numbers SCN 00014 and SCN 00005 were declared on the same day, 14/12/2016 because I forgot to make a declaration of my assets after the expiration of my 2005 declaration in 2009. Following my appointment as acting CJN in November, 2016, the need to declare my assets anew made me to realize the mistake. “I then did the declaration to cover the period in default. I did not include my standard charted bank account in SCN 000014 because I believed they were not opened. Governors from the South-south geopolitical zone, where the Cross River-born Onnoghen hails from, fixed an emergency meeting for today to discuss the alleged scheme to sack the CJN, among other issues. However, a highly-placed Presidency source said last night that the Attorney-General of the Federation and Minister of Justice, Mr. Abubakar Malami, SAN, was scheduled to meet Buhari yesterday night on the Onnoghen issue. The outcome of that meeting was unknown as at the time of going to press. “We have just been made aware of the plot by President Muhammadu Buhari to sack Justice Walter Samuel Nkanu Onnoghen using flimsy assets declaration issues as a pretext. We are aware that there are plans to arraign Justice Onnoghen before the Justice Danladi Yakubu Umar-led Code of Conduct Tribunal on Monday, January, 14, 2019. The charge against Onnoghen, we understand, has already been filed and served on him last Friday at his official residence in Abuja, preparatory to his appearance at the tribunal. The former vice president said Nigerians were aware that the linchpin of the plot, the Executive Secretary of the Anti-Corruption and Research Based Data Initiative (ARDI), the author of the purported petition seeking Onnoghen’s removal, Mr. Dennis Aghanya, was the National Publicity Secretary of President Buhari’s defunct political party, the Congress for Progressive Change (CPC). The PDP candidate warned that if Buhari and the APC succeeded in the current plot, they should be ready for an epic battle whose end and consequences could neither be predicted nor imagined. “We have the strength of character, the courage and the conviction to mount a sustained campaign in defence of justice, and in defence of separation of powers as enshrined in the constitution, which is the grundnorm of our democracy,” Atiku warned. He said even if the allegations against Onnoghen were true, the Code of Conduct Bureau (CCB) was wrong to have referred the petition to the Code of Conduct Tribunal (CCT). But Atiku argued that since judicial officers were disciplined by the National Judicial Council (NJC), the CCB was wrong to have referred the matter to the CCT even if the allegations had been found to have any substance. But Atiku alleged that Buhari was desperate to get Onnoghen out of the way and appoint a pliable acting CJN who would superintend over election petitions, in case his rigging plan failed. 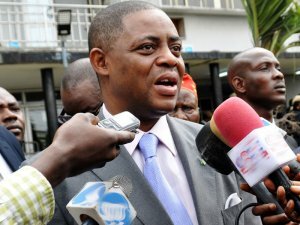 He called on Nigerians to resist the move to silence the judiciary, saying Nigeria’s democracy, and not the judiciary, is on trial. “Buhari and his APC-led government should not emasculate the judiciary as they tried to do the National Assembly and was resisted by the President of the Senate, Abubakar Bukola Saraki. This is a brazen day light assault on the judiciary because he (Buhari) wants a pliable acting Chief Justice of Nigeria (CJN) to sit on his election petition because he has seen the signal that he will lose the February 16 presidential election,” Atiku said. The statement from the NBA reads further: “The Nigerian Bar Association unequivocally condemns this assault, intimidation and desecration of the Judiciary by FGN agencies and demands that it be stopped immediately,” the statement said. It quoted Nganjiwa v Federal Republic of Nigeria (2017) LPELR-43391(CA), where the Court of Appeal made it very clear that any misconduct attached to the office and functions of a judicial officer must first be reported to and handled by the National Judicial Council pursuant to the provisions of the law. “Only after the NJC has pronounced against such judicial officer can the prosecuting agencies of the Federal Government proceed against him,” the NBA said. It pointed out As the Court pointed out, these requirements of the law are anchored on the overriding principles of separation of powers between the executive, the judiciary and the legislature and on the need to preserve, promote and protect the independence of the judiciary. Our respective liberties and the rule of law are best protected and preserved if the judiciary remains independent and shielded from intimidation and assault by the other arms of the government. 3. In Nganjiwa v FRN (supra), the Court of Appeal made reference to Rule 3 of the Revised Code of Conduct for Judicial Officers of February 2016 (“Code of Conduct for Judicial Officers”)and held that the said Rule 3 “makes provision in relation to fidelity to the Constitution and the Law”. The provisions in regard to assets declaration as they apply to all public officers including the CJN are contained in both the Constitution and the Code of Conduct Bureau and Tribunal Act 1991, the enabling law that establishes both the Code of Conduct Bureau (“CCB”) and the CCT. The fidelity which judicial officers therefore owe “to the Constitution and the Law” pursuant to Rule 3 of the Code of Conduct for Judicial Officers encompasses compliance with the provisions relating to assets declarations as contained in the Constitution and the Code of Conduct Bureau and Tribunal Act. Any infraction in that regard by a judicial officer, as the Court of Appeal rightly held, constitutes a misconduct by the judicial officer and becomes the subject matter for discipline by the NJC as a condition precedent to any possible prosecution of the judicial officer by any of the FGN’s prosecuting agencies. 4. Why has FGN decided to embark on this anomalous course of charging the CJN before the CCT without first presenting whatever facts it purportedly has against His Lordship to the NJC for its deliberation and determination? The Petition that triggered the CCB action was on its face received by the Bureau on 09 January 2019 and the Charge was promptly drafted and is dated the following day, 10 January 2019 – giving the CCB a record 24 hours for completion of its investigation and the drafting of the said Charge and ancillary processes! If one contemplates the fact that the CCT arraignment is scheduled to take place on 14 January 2019, we have in total a record number of 3 (three) working days between the receipt and processing of the petition, investigation, preparation of Charge and ancillary processes and the arraignment! Such unprecedented speed and efficiency in Nigeria’s criminal justice administration! It is clear, given the rush with which this matter was conducted by the CCB, that the NJC was not privy to it and did not conduct its mandatorily required disciplinary processes prior to the filing of the Charge before the CCT. 5. We still wonder why the FGN choose to deviate from the laid down and explicit provisions of the law as expounded in Nganjiwa v FRN (supra). Could it be that it was misadvised? Or is this a naked show of power and force by agencies of the FGN? And why embark on the media trial of the CJN? This, unfortunately, is a predilection of the FGN’s prosecuting agencies with the possible exception of the Federal Ministry of Justice. As the NBA pointed out in its International Anti-Corruption Day Statement that was issued on 09 December 2018 “media trial of persons charged with corrupt practices . . . amount to corruption itself. Indeed, those orchestrated media trials degrade and corrupt the justice administration system quite apart from the incalculable (but obviously intended) damage that it does to persons who may ultimately be discharged and acquitted. These media trials must, alongside the on-going desecration and assault of the judiciary, cease forthwith. 6. There are two final issues that we must touch upon in this Statement, albeit, briefly. First, could it possibly be a coincidence that the current assault on the judiciary is taking place only weeks to the 2019 National Election? Apart from the conduct itself being wrongful and deplorable, its timing is condemnable. FGN will find it difficult to convince any reasonable person that its assault against the CJN and by extension the judiciary is not aimed at emasculating that arm of the government and intimidating our Judges ahead of the 2019 National Elections. The FGN’s conduct in this instance qualifies, amongst others, as “impunity in public service”. 7. As a final point, it is also difficult for a disinterested observer not to see a pattern of consistent assault by agencies of the FGN on the heads of the two independent arms of government, to wit, the legislature and the judiciary, starting with the prosecution of the Senate President, Dr. Bukola Saraki, before the CCT and now, the ill-fated prosecution of the CJN before the same CCT. The impression must not be created that the agencies of the Executive arm of the FGN are interested in destabilizing and laying prostrate the other arms of the Government and in the process eliminating and destroying any and all voices of dissent and checks and balances. That is not desirable for the democracy that we strive to build neither is it good for the image of the Government. We urge restraint on the part of Government and demand that the CCB follow due process in proceeding against the CJN by complying with Nganjiwa’s Judgment (supra) and other similar judicial precedents. This continuing attack on the justice sector must cease forthwith. FGN and its agencies must desist from debasing the rule of law. Former President of the Nigerian Bar Association (NBA), Mr. Olisa Agbakoba (SAN), described the purported arraignment of the CJN before the CCT as unconstitutional, regardless of whether he was guilty or not. 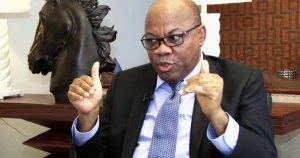 Agbakoba stated that it was outrageous to suggest that a CJN could be arraigned at all on any grounds, as the constitutional procedure clearly specified that he would have any charge against him laid before the Senate or the NJC, which is empowered to take disciplinary action against judges. According to Agbakoba, “It is outrageous to even suggest that a CJN can be arraigned at all on any grounds as the constitutional procedure clearly specified that the CJN will have a charge laid before the Senate for misconduct or the NJC, which is also empowered to take disciplinary action. “The courts have stated very clearly that the NJC is charged with the sole responsibility for disciplinary action against judges in addition to powers conferred on the Senate. 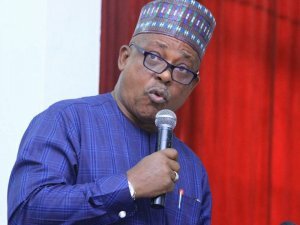 National Chairman of PDP, Prince Uche Secondus, said the news about the arraignment of the CJN before the CCT was an attempt by the APC to destroy the judiciary. 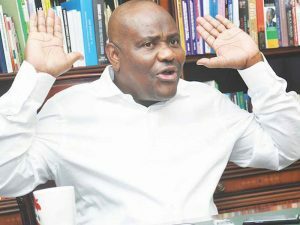 He said the move coming barely 30 days to the general election showed that the ruling party was desperate to manipulate and thwart the will of Nigerians at the poll. “It is obvious that the APC wants to destroy the Nigerian judiciary barely 30 day to general election in their desperation to manipulate and thwart the will of Nigerians,” he said. 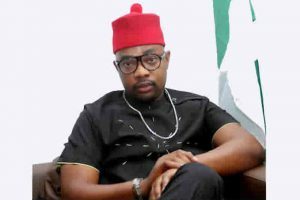 Coalition of United Political Parties (CUPP) condemned as undemocratic, unconstitutional and illegal the alleged plot by the Buhari presidency to remove Onnoghne, calling it a ploy to rig the general election. It accused Malami, Minister of Transportation Chibuike Amaechi, Goodswill Akpabio, APC National Chairman Adams Oshiomhole, Bola Tinubu, and Hope Uzodimma of being behind the CJN-must-go project. On is part, a non-governmental organisation, Human Rights Writers Association of Nigeria (HURIWA), accused Buhari of attempting to foist a totalitarian regime by subterfuge. 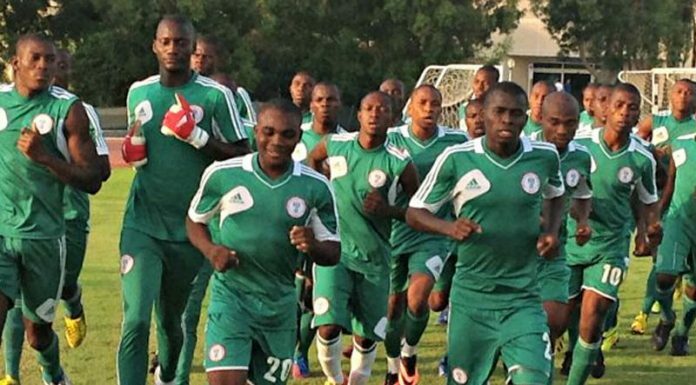 In a statement by its Coordinator, Emmanuel Nwobiko, HURIWA said mischief and malice might have guided the decision of the presidency to institute the charges before a tribunal tailor-guided by the executive arm of government. It recalled that the president hesitated in appointing the current CJN in a substantive way but plotted to impose a northern-born justice who was then second in line in terms of seniority to Onnoghen. A Senior Advocate of Nigeria, Chief Sebastine Hon, called on the CJN not to give in to intimidation, saying the move to arraign him is political. 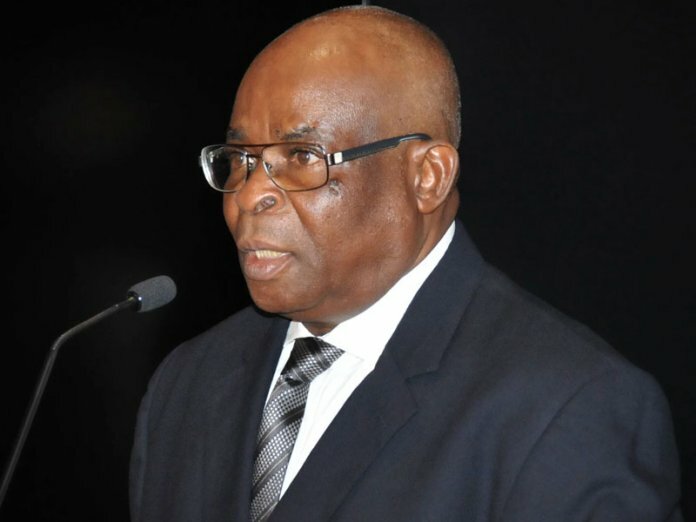 In a statement he issued yesterday, Hon noted that even though the CJN did not enjoy immunity from criminal prosecution, the move to arraign Onnoghen was dangerously political and tendentious. He said, “I strongly counsel the CJN not to heed the obviously unholy call that he should step aside. There is light, I am strongly persuaded, at the end of the tunnel! “Suddenly, we woke to see a petition leaked to the informal or social media, allegedly received by the Code of Conduct on 9th January, 2019. Suddenly, we are told charges have been filed against the CJN. “Suddenly the Presidency is reportedly asking him to step aside! Was he interrogated or interviewed and his own reactions obtained? Why this supersonic rush? “These steps are more political than honest. There is an attempt to destroy the Judiciary or gag it; and in the latter situation, to hector it into submission. “I personally say no to this! All Nigerians of goodwill must say no to this unprovoked assault on the Judiciary. “After unsuccessful attempts to reign in the National Assembly, the same unholy attention is beamed on the Judiciary. If this arm of government is destroyed, due process, constitutionalism and the rule of law will pave way to whimsical, narrow and brute force, at the instance of one man or a select few! “I personally say no to this. 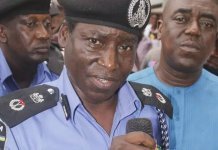 He recounted, “Deji Adeyanju in custody and being framed with murder. Dino Melaye in custody and being framed with attempted murder. Doyin Okupe in custody and being framed with corruption. “Sambo Dasuki in custody and being framed with corruption. Ibrahim Ek Zak Zaky in custody and being framed with murder. Nnamdi Kanu in exile and being framed with treason. “Meanwhile the Chief Justice of the Federation has been added to the list. Buhari has directed that he should vacate his seat and prepare for arraignment on criminal charges on Monday.